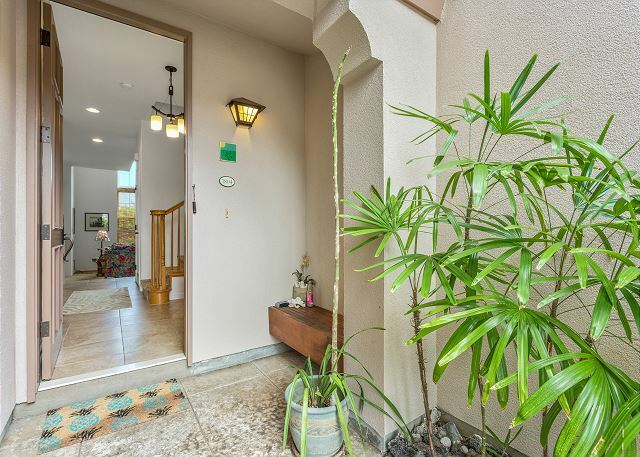 Walk to Golf 250' from Your door! Vacation rental villa. Sleeps 5, 2 bedrooms, 2.5 bathrooms. No pets allowed. Turn the corner, and head straight to paradise. This welcoming 2 Bedroom / 2.5 Bath airy and bright condo is yours to enjoy with your family and friends. 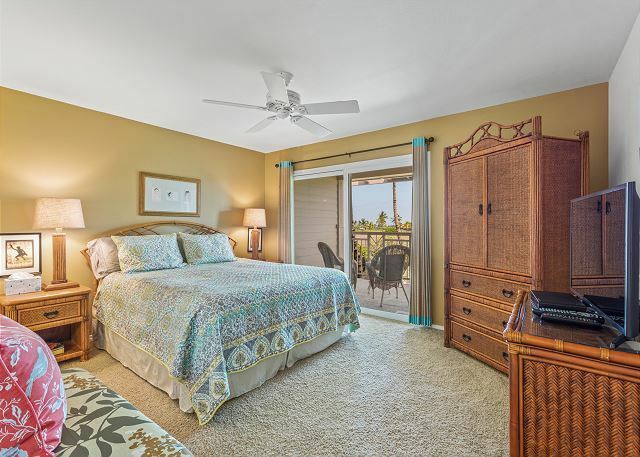 On a quiet side of the active stay-and-play Waikoloa Resort area, Waikoloa Colony Villas is the perfect place to take a breath and relax in between all your island activities. Whether it’s golfing at a discount on the award-winning courses, swimming and snorkeling at “A Bay,” or venturing off onto the ribbons of road leading to the many tropical reaches of the Big Island, #1804 will be that place to which you anticipate a hurried return. The ground floor of this condo offers various spots to sit and enjoy the view of the beautifully landscaped grounds, with ten-foot windows bringing in light into the 18-foot vaulted living area. Blue sky abounds in the northeastern exposure. The fully equipped kitchen and view-filled dining area flow into the comfortable living room. 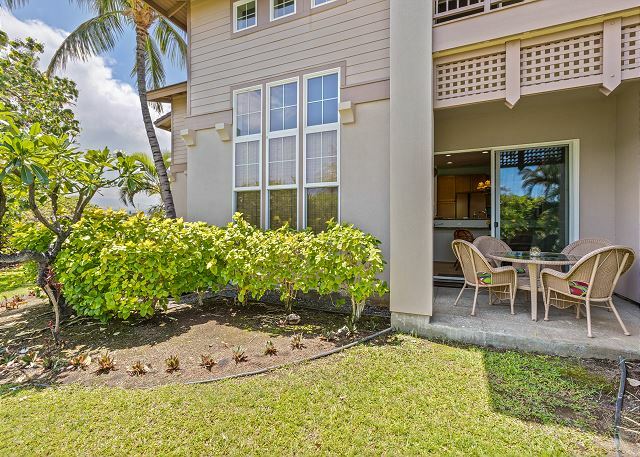 But it is the private lanai that will draw you out, time and time again. The expansive view gives the mind room to wander, and is accompanied by birdsong and swaying palms, causing a conversation sometimes to pause in reflection. 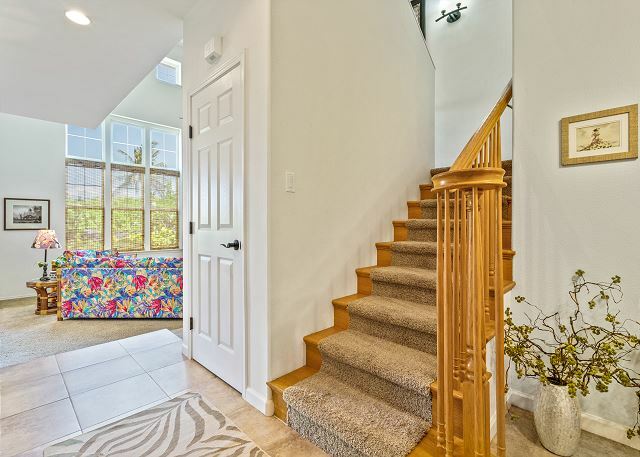 Privacy and solitude are found in the generous two bedrooms and two private baths situated upstairs. The Master Suite’s calm aqua-accented décor offers a king-sized bed. Open the sliding door and feel the breeze as you linger. Out the door, the private lanai provides the perfect spot for morning coffee and a view of the Kohala Mountains, as well as a place to toast your glass of bubbly while embracing the ambient glow of every Big Island sunset. The Master Bath stands replete with soaking tub, separate shower, and double vanity for ultimate indulgence. Down the hall, the Guest Bedroom offers two twin beds, and its own bathroom with a shower/tub combination and generous vanity. At this corner of the development you gain the advantage of the open space out the back, while having convenient access to the tennis court right outside your front door, and the refreshing pool just across the drive and down a short walkway. Take a walk out to the ancient Kings Highway Foot Trail, or jump in the car and in mere minutes find fine dining, high-end shopping, cultural experiences, and the rest of the Kohala region’s offerings waiting for you. Make sure to take note of all the advice, tips, recommendations, as well as the Activities Calendar, in this unit’s Waikoloa Guest Guide. 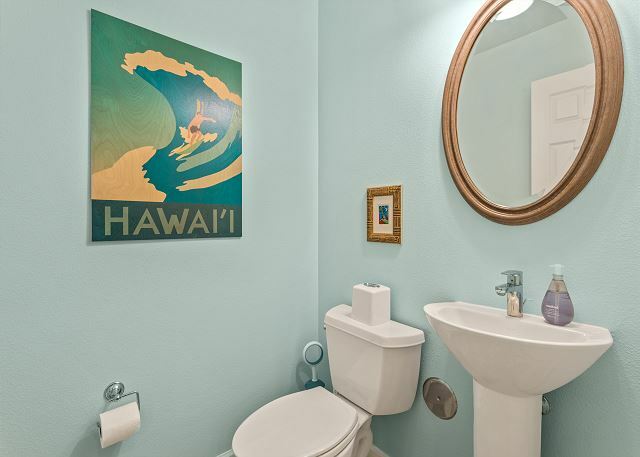 Enjoy Colony Villas #1804 as your special place on the Big Island. It’s time you had some Island Time. ~ Aloha. This was our first time using VRBO and we weren't sure what to expect but from now on we will be using this. The house was beautiful, well stocked, and took care of all of our needs. Everything was all provided for and we had a great time. The house was close to everything and we were very satisfied from the time of booking to when we checked out. Mike checked in on us to make sure we were settled in and were very accommodating. Thank you again for everything! The condo was perfect for a visit. Location is good, close to anything you need. 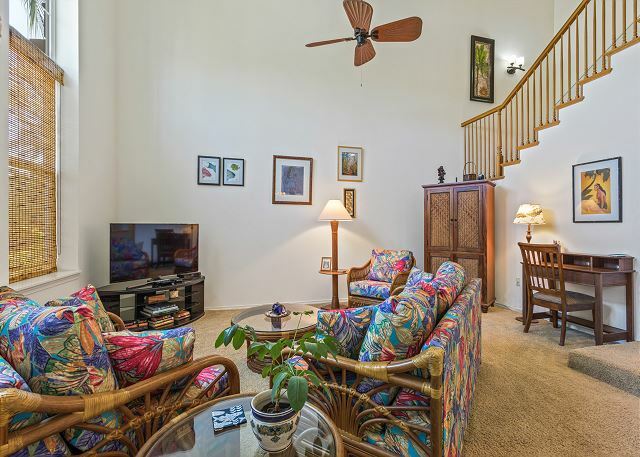 My family and I have visited the Colony Villas many tines to relax on the sunnier side of the Big Island. This condo lived up to all of our expectations. It was very clean and well equipped. We also liked the short walk to the pool.